On Whychus Creek, the Deschutes Land Trust is focused on protecting historic wet meadow complexes. These features are located primarily on lower Whychus Creek downstream from the town of Sisters. These areas provided the majority of the historic spawning and rearing habitat on Whychus Creek, but lost much of their floodplain function over the past two centuries due to beaver trapping, irrigation withdrawals, stream channel straightening, residential, transportation, and industrial development, and livestock grazing. Now, these areas offer the greatest potential for restoration, both for salmon and steelhead reintroduction and for the overall resilience of the watershed in the face of a changing climate. The Land Trust has conserved eight properties along Whychus Creek: Alder Springs Ranch (in partnership with Trust for Public Land, 840 acres, .75 stream miles); Camp Polk Meadow Preserve (145 acres, 1.5 stream miles); Rimrock Ranch Conservation Easement (1130 acres, 1.9 stream miles); Whychus Canyon Preserve (450 acres, 1.9 stream miles; Whychus Canyon Addition (480 acres, 2 stream miles; the Pond Addition to Camp Polk Meadow Preserve (6 acres, .25 stream miles); Aspen Hollow Preserve (58 acres, .75 stream miles); and Willow Springs Preserve (130 acres, 1 stream mile). The Land Trust’s strategy calls for protecting an additional 2 miles of historic meadow habitat along with smaller projects like the Pond Addition that extend the benefits of or provide additional protection to existing conservation sites. The Deschutes River Conservancy has been working on streamflow restoration in Whychus Creek since the late 1990s. To date DRC has helped protect approximately 35 cfs instream through a combination of water right acquisitions and conservation projects. In addition, DRC provides added annual streamflow through its annual water leasing program. To date, the Upper Deschutes Watershed Council has completed thirteen passage and/or screening projects in Whychus Creek and there are ​two remaining projects to be addressed. The Upper Deschutes Watershed Council expects to address these two projects within the next six years. 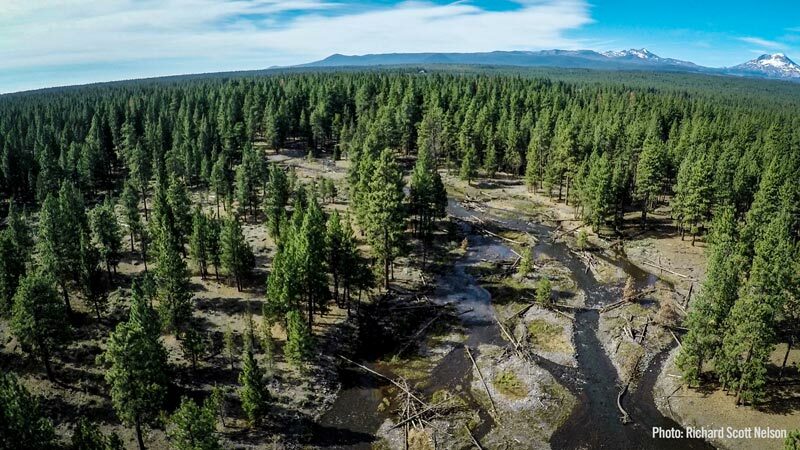 To date, the Upper Deschutes Watershed Council has restored approximately three and a half miles of Whychus Creek and has an additional seven and a half miles of restoration in the planning stages. The Upper Deschutes Watershed Council expects that five of these nine miles will be restored within the next six years. Much of the long-term success of the restoration efforts in Whychus Creek will depend upon the degree to which the local community is connected to and engaged in local watershed management issues. The Deschutes Partnership’s outreach programs in Whychus Creek are focused on building this connection through on-the-ground stewardship activities that help engage local landowners, decision-makers and others who are critical for the successful recruitment and implementation of the Partnership’s projects, many of which require extensive community support. Currently, the Partnership works with approximately 2,000 people per year via its outreach programs, which include, community presentations, restoration tours and has a sustained media presence in local newspapers, websites and other media outlets. 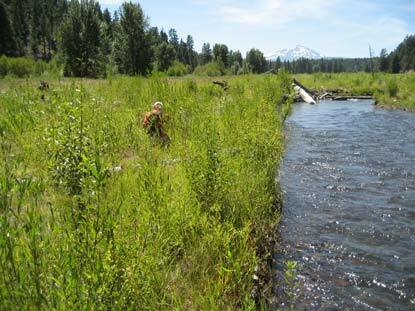 Since 2006, the Upper Deschutes Watershed Council has been monitoring outputs (e.g., cfs restored, miles restored, # of plants, barriers removed, etc.) as well as outcomes (e.g., water quality improvements, macroinvertebrates, etc.) in Whychus Creek. The Upper Deschutes Watershed Council will continue this monitoring throughout the next six years and use this information to track restoration progress and effectiveness. The Deschutes Partnership is a consortium of organizations, including the Deschutes Land Trust, Deschutes River Conservancy, Upper Deschutes Watershed Council and Crooked River Watershed Council, working to restore stream conditions to support the successful reintroduction of salmon and steelhead into the Upper Deschutes subbasin.